Sunlight is a combination of visible light and invisible light. The seven colors of the rainbow are visible lights, and infrared rays and ultraviolet rays are invisible lights. Infrared rays are one of the sun’s rays and are divided into near, mid, and far infrared. Most infrared saunas on the market today only use far infrared. While far infrared may be great for opening up the pores and aiding detoxification, scientists are finding all sorts of health benefits from the other areas of the infrared spectrum (see videos below for more information). Our full-spectrum infrared sauna offers the benefits of near, mid, and far infrared. Traditional saunas raise the temperature of the air to a very high level within the chamber to warm the body. Some people have difficulty breathing in this extremely warm air. Infrared saunas work differently. Instead of heating the air within the enclosure, infrared saunas heat the body directly. The result is deeper tissue penetration. In an infrared sauna, the body perspires and receives all of the healthy benefits but avoids the harmful and extremely hot air of a traditional steam sauna. Infrared heaters warm the body in the same manner as natural sunlight, and leave you feeling invigorated, not depleted like conventional saunas. HOW LONG DOES A TYPICAL SAUNA SESSION LAST? Sauna sessions may range anywhere from 15 minutes to an hour. It is generally recommended that individuals start with a 15 minute session to see how their body responds to heat, and then gradually work their way up to longer sessions. The temperature generally ranges between 110°F to 130°F, but higher temperatures are available upon request. Chromotherapy is the science of using wavelengths of color light to affect your body and mind. 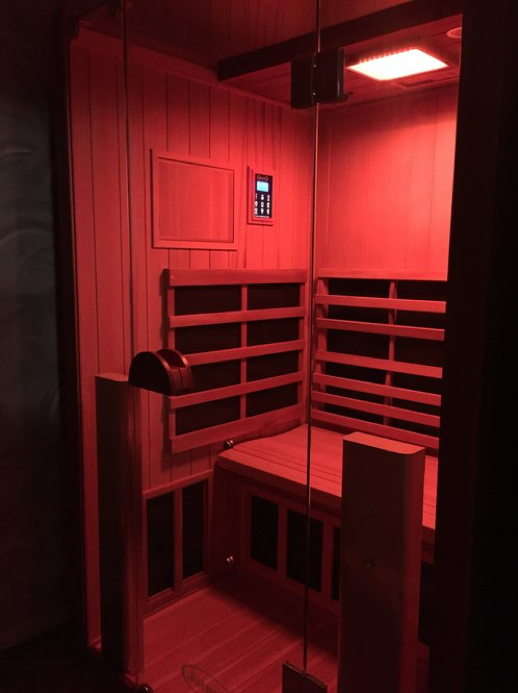 Our full-spectrum sauna includes medical grade Chromotherapy lighting with 96 LED Lights. You can set an individual color or select "Auto" mode and it will automatically switch between the colors every 25 second. 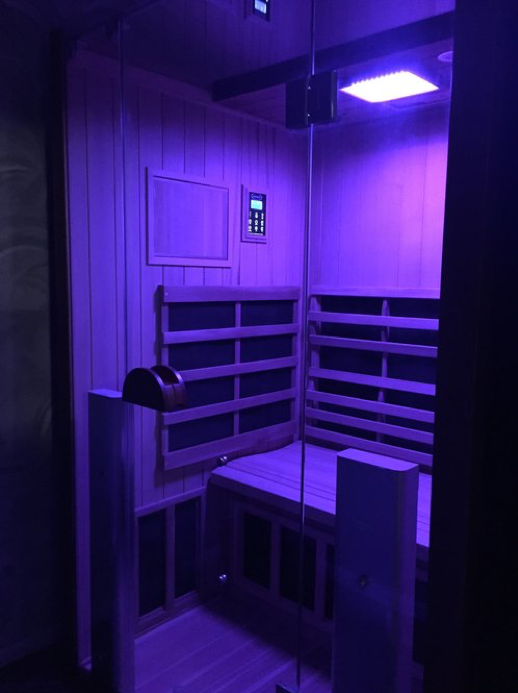 The sauna includes an array of 12 colors - red, strong green, strong blue, orange, green, blue, strong yellow, strong indigo, strong pink, yellow, indigo and violet. Due to the high output of this unit, there is a dimmer function that can modulate the lighting intensity. Check out this article on PubMed for some of the scientific theory behind this form of therapy. 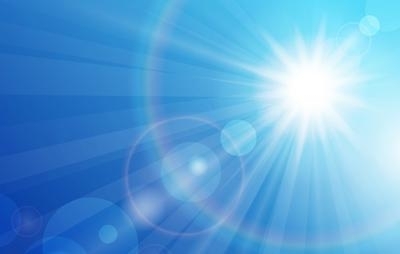 Scientists believe that chromotherapy may influence the circadian rhythm and the neurohormonal responses to the environment. This article discusses the impact of chromotherapy on the regulation of important neurotransmitters serotonin and the hormone melatonin. The optic nerve not only connects the eyes to the brain, but also connects to the hypothalamus, which is important for hormone regulation throughout the body. Researchers have investigated the relationship between specific colors and the autonomic nervous system (Ross, 2013), enzymatic reactions (Azeemi, 2008), and macular degeneration (Vojniković, 2010). DOES THE SAUNA PRODUCE EMFS? Many of the infrared saunas on the market today are manufactured overseas and produce alarming levels of EMF exposure to those using the sauna. Our sauna manufacturer produces the highest quality full-spectrum infra saunas on the market with health and healing as their primary goal. Our sauna not only cancels out EMFs (electromagnetic fields) but also ELFs (extremely low frequency - 3 to 30 Hz) electric fields to levels that are 3-5 times lower than the threshold of concern according to third-party test results. CAN ANYONE USE THE SAUNA? You do not have to be a chiropractic patient in order to use the infrared sauna; however, we recommend that all sauna users review the complete list of contraindications provided by the manufacturer before scheduling their appointment. WHAT DO I NEED TO KNOW BEFORE MY APPOINTMENT? It is very important to make sure you are well hydrated before your sauna session. We recommend that you focus on hydration for up to three days before your sauna session, however we do not allow food or beverages inside the sauna as it may damage the sauna interior. Often times individuals may not sweat much during their first 15min session. There are many things that can be related to minimal sweating, but dehydration is one of the most common contributors. Sweating may also be impaired by lotions or topical creams, so it may be important to minimize the use of products that may clog the pores. Bring a swim suit or gym clothes to wear during your sauna session. We provide towels to use during the sauna session and for drying off afterwards. Nutritional supplements, mineral sprays, and electrolyte drinks are available in addition to the sauna session. NEW IN 2018! We now have the Live O2 oxygen system available for use in the infrared sauna! This unique therapy combination is a great alternative for individuals who may not be able to use the oxygen system during exercise or for those who are looking for an extra aid in detoxification. Call for a free 10 minute consultation with Dr. Derek Fritz to see if the oxygen and infrared sauna would be right for you and your health goals. What does the infrared sauna do? SEE THE VIDEOS BELOW FOR MORE INFORMATION ON SAUNA BENEFITS AND USES. Dr. Duncan discusses the history and benefits of full spectrum infrared saunas. · Why use a full spectrum sauna? Dr. Burke shows real cases of severe wound healing treated with infrared. *Warning many of the images may be disturbing to some. Dr. Lim reviews his recent research on infrared and Alzheimer Disease. Dr. Yu's research with niacin and detoxification acknowledges the skin and the GI tract as the two primary means of toxin elimination. Infrared saunas have been used to detox police officers and fire fighters after occupational toxin exposures. Call to schedule your sauna session today! Effects of far-infrared sauna bathing on recovery from strength and endurance training sessions in men. Effect of post-exercise sauna bathing on the endurance performance of competitive male runners.